WASHINGTON (CNS) — The influence of religion on U.S. Supreme Court justices has grown more prominent in the last 50 years, according to five panelists who convened Oct. 27 to examine how the religious beliefs of the current justices affect their interpretation of the Constitution. The panelists spoke about past and contemporary Supreme Court cases and considered how religion shaped the justices’ decisions. The Religious Freedom Center, an educational initiative of the Newseum, and Moment Magazine, an independent publication targeted toward Jewish people, sponsored the event. The Supreme Court includes six Catholics and three Jews. Lyle Denniston, a journalist who has reported on the Supreme Court for more than 50 years, said he thinks the plurality has increased the role of religion both in and out of the court. Barnes referenced the 2014 Town of Greece v. Galloway case, in which the court ruled that the town should be permitted to open municipal meetings with a prayer, as an example of the court’s changing response to religion. “That’s one that the court didn’t have to take but decided to take and it really divided the court,” he said. The panel debated whether nonreligious influences, such as the justices’ socioeconomic backgrounds, factor as prominently into their rulings as their religious affiliation. 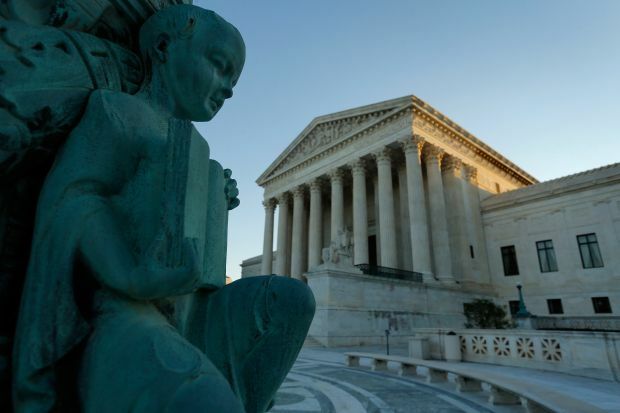 Marshall Breger, a professor at The Catholic University of America’s Columbus School of Law, said people should not overestimate the role of religion because it is “one of many things” that influence justices. Tony Mauro, a Supreme Court correspondent for the National Legal Review, agreed that religion does not hold more weight than other factors in influencing how a justice decides a case. One effect of the religious makeup of the Supreme Court in recent years, the panelists said, is that the justices are more open in discussing their faith. “I think it could be partly because … whenever they say anything, people are watching much more than they used to,” Mauro said. Stephen Wermiel, a law professor at American University, contrasted today’s justices with the late Justice William Brennan Jr., who served on the court from 1956 to 1990. Brennan, he said, advocated for a strict separation between church and state. The panelists also talked about the polarizing issue of abortion in U.S. culture and how the justices have approached it. Denniston said he believes the issue is now largely driven by a Catholic perspective. He specifically referred to the 2007 decision in Gonzales v. Carhart, in which the court upheld the Partial Birth Abortion Ban Act. Denniston emphasized the importance of viewing religion as a private matter.